Padmavat is reportedly releasing with PadMan but trade analysts believe that the audience will "try to catch them both films"
Deepika Padukone's Padmavat is reportedly releasing with Akshay Kumar's PadMan on January 25. But trade analyst Komal Nahta told mid-day that PadMan makers need not worry about the clash. "Both the films boast of solid storylines, so, they will perform well. It's a holiday weekend, and the audience will try to catch them both," he said. He also added that Sanjay Leela Bhansali-directed Padmavat (which was titled Padmavati before the Censor Board edits) will perform well even if it releases on a Monday instead of a Friday. "Padmavat will enjoy a historic start even if it releases on a Monday instead of a Friday since there is immense curiosity about the film anyway," he told mid-day. Trade analyst Taran Adarsh tweeted Padmavat's release date but an official confirmation from the filmmakers is awaited. Actor Akshay Kumar is not perturbed about the clash. Speaking to news agency PTI, he said: "Every film has the right to release whenever they (makers) want, and I am happy for them." Akshay's PadMan co-star Sonam Kapoor added: "It is not announced officially, isn't it? If it is, it is good. There is a need for competition when it comes to films and (it is) high time that the film releases. Good cinema is good cinema, I don't believe in competition. And honestly, I am just happy that the film is releasing, more than anything else, and I hope the film does well. I am pretty sure that there is no official statement from the production house of the film release." PadMan co-producer Prernaa Arora (owner of KriArj Entertainment) on Saturday told news agency PTI that they plan to release PadMan as per schedule on January 25. "All we know is PadMan is releasing on January 25. Akshay announced it officially," she said. She earlier told news agency IANS that it would be "foolhardy" to release her film on the same day as Padmavat. 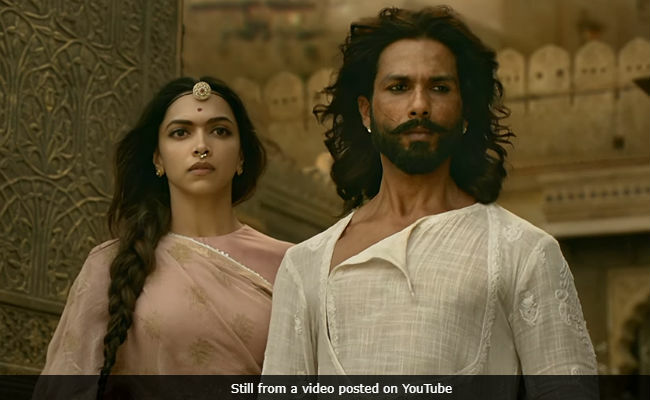 Padmavat was expected to hit the screens on December 1 last year but the Central Board of Film Certification did not clear the film for release on time citing technical issues during submission. On December 30, the CBFC cleared Padmavat for release with five alterations (including the film's title). The release of Padmavat is also being opposed by several Rajput outfits, who have alleged that the film distorts historical facts. Padmavat also stars Ranveer Singh and Shahid Kapoor while PadMan features Sonam Kapoor and Radhika Apte. The third film releasing on Republic Day weekend is Sidharth Malhotra and Manoj Bajpayee's Aiyaary, directed by Neeraj Pandey.